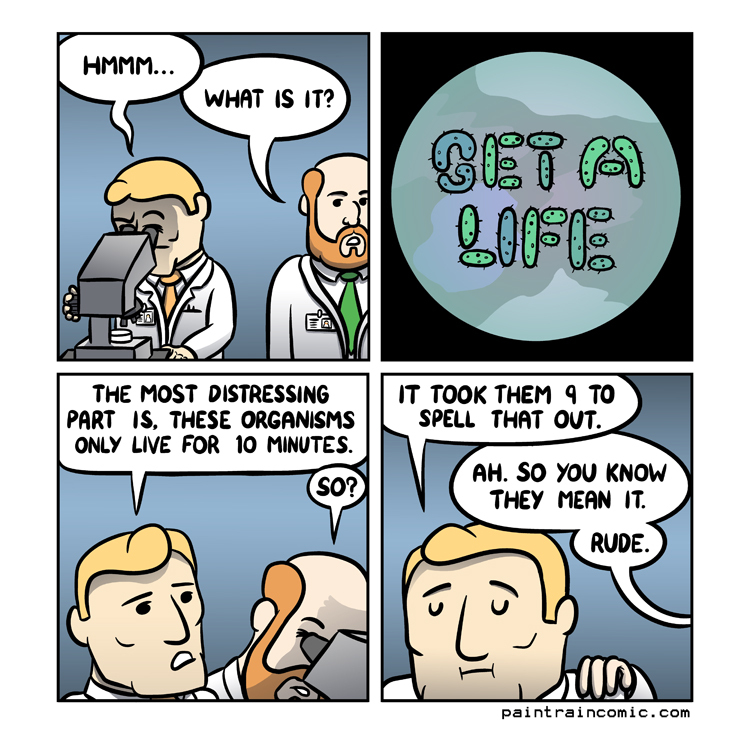 More comics featuring microscopes! Pain Train is now about microscopes. Also, I used Manga Studio for the inks and panel borders for this one! It’s so much better at that than stinky old Photoshop, but I don’t know how to colour in MS though, so I’ll keep using PS for colours and shading.